We will offer various spare parts according to your requirement. 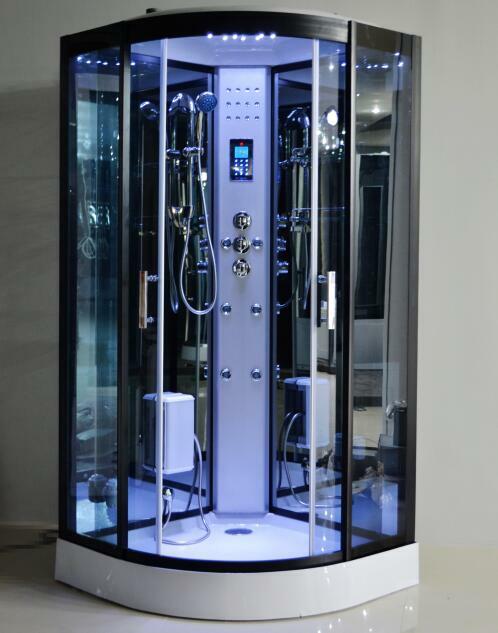 The GT series complete shower rooms are made by good quality material and strictly tested by our company. When you get the multifunctional shower cabins, you can enjoy the happiness of the shower and relax after the full day work. 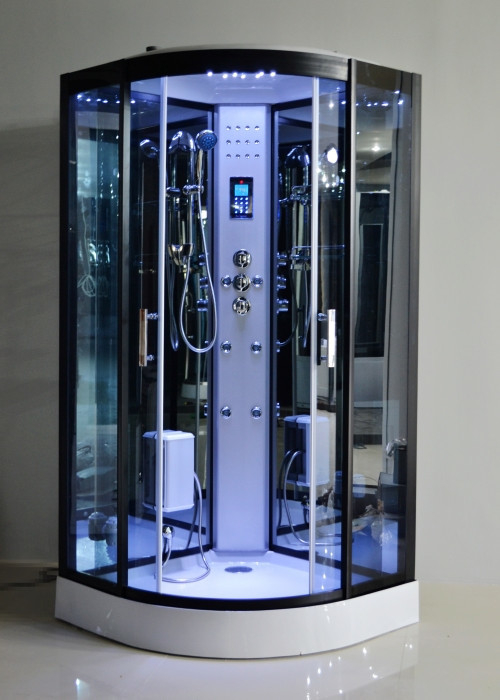 Besides the 100*100cm size, we also provide 800*800 and 900*900cm shower bath. We are a professional shower rooms and bathtubs manufacturer in Hangzhou,China. The price of the products are very competitive. The GT-0513C black glass steam shower bath cabins with computer control are hot sale in our products range.